Dr.Kirby is a board certified ophthalmologist. She originally started practicing in Plano, Texas in 1997, but decided to open her own independent office at Presbyterian Hospital of Dallas in 2007. She attended Drexel University Medical School in Philadelphia, Pennsylvania, where she was selected to the Alpha Omega Alpha Honor Society. Glaucoma is an eye disease that is commonly associated with elevated intraocular pressure that can permanently damage the optic nerve. The optic nerve is a group of bundled nerves that carries visual information to the visual processing part of the brain. The eye has a drain that constantly pumps aqueous fluid out of the eye, balancing the continual production of new fluid into the eye. As we get older, there can be increased resistance to the normal outflow of fluid that is normally produced in the eye, raising the intraocular pressure. If these pressures are left untreated or are uncontrolled, a patient would have a decrease in their peripheral vision that would go unnoticed until it was too late. By the time a patient notices the vision loss, nearly half of the vision may be gone and this vision loss is irreversible. Progressive optic nerve damage could lead to total blindness. There are really NO signs or symptoms with most types of glaucoma and that it is why it is commonly called a “silent blinder” or “silent thief of sight”. The one type of glaucoma that is the exception to the rule is Acute Angle Closure Glaucoma. Angle closure or narrow angle glaucoma would cause a patient to have sudden symptoms such as pain, headaches, nausea or vomiting, blurred vision, dilated pupil, halos around lights, red eyes (white of the eyes) and the front of the eye (cornea) to be cloudy or hazy. You may notice these symptoms arise after being in a very lowly lit room or in the dark. This rarely affects both eyes at the same time. Primary open angle glaucoma is the most common type of glaucoma. Approximately half of Americans with chronic glaucoma don’t even know that they have it. As described above, increased intraocular pressure causes permanent damage to the optic nerve causing loss of peripheral vision and eventually total blindness. Normal tension glaucoma is most like open angle glaucoma except that the intraocular pressure does not have to be very high. It is always within the normal range. It just may be too high for that particular individual. There are no signs or symptoms with this type of glaucoma as well. Pigmentary glaucoma is a rare type of glaucoma that is caused by the pigment deposits from the iris (colored part of the eye) clogging the drain in the eye. These pigment deposits may make it more difficult for the fluid in the eye to exit.. You may notice some pain or blurred vision after exercise. Congenital glaucoma is an inherited trait that is present at birth. Most cases are diagnosed by the age of one. These children are born with narrow angles or a birth defect of the drain of the eye and it is very difficult to diagnose. If you notice hazy, cloudy or white corneas, enlarged or protruding eyes in your child, see your pediatric ophthalmologist (eye MD). Secondary glaucoma is somewhat like any other type of glaucoma except that is caused by injury, chronic inflammation, tumor, or dense cataracts. Glaucoma can be treated in several ways. The first and most common step is the use of pressure lowering drops. These may be used daily for the remainder of a person’s life. Never discontinue your drops without seeing your doctor. Depending on the type and severity of glaucoma, laser or other surgical procedures may be necessary. Our mission is to preserve and maintain their vision. We perform complete, through eye exams as well as manage complex medical and surgical opthalmologic disease processes. Please allot at least 3 hours for your visit. Please make sure you have ALL insurance cards with you for each visit. 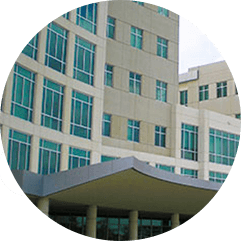 The doctors here at Kirby Eye Center take time for each and every patient in order to give you the care that you need and deserve. Someone may drop you off and pick you up if that is more convenient for you. All new patients and annual established patients should prepare to be dilated.